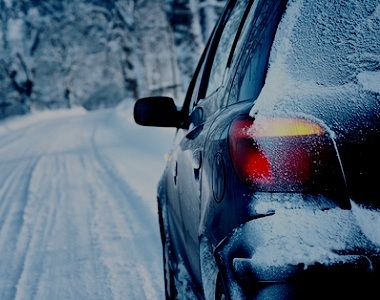 Are the Anti-Icing Chemicals Used on Roads Bad for Cars? More often than not, the thing that is used in order to deal with slick roads is salt, although there are some other combinations of chemicals that are sometimes used as well. In some areas, sand is used and in other areas, it's a salt and sand combination. It really depends on exactly where you live and how bad the winters typically get in that area. Since salt is by far the most common thing that is used to treat roads during the winter, that is what will be discussed first. It's also the focal point of this particular article. Have you ever wondered what it does to your car? Obviously, damage to the finish is one of the things that is going to be a potential problem. However, it doesn't stop with a rusted finish or a peeling clear coat. The damage from rust can go from being a mere nuisance to something that is truly serious, especially for those cars that have been neglected for a number of years. The same thing happens when drivers travel on these treated roads and then don't get the substances off of their cars in a timely fashion. The longer the substance is on the car or the more times the automobile is exposed to the substance, the better the chances are for damage to occur. When it's all said and done, it can result in serious body damage that can have a negative impact on the resale value of the car. It can also take things a step further by damaging the car so severely that virtually no amount of body work can restore the finish, short of a total rebuild. Most people think that the obvious answer to dealing with these chemicals is to take the car to the car wash in order to remove the substances. This answer is only partly correct. Obviously, you want to get these chemicals off of the car as quickly as possible. The problem comes in the form of the car wash itself and its design. If you're going to an automatic car wash, the very design of it has a tendency to grind the chemicals into the finish of the car as opposed to getting rid of them. When you see those big machines coming at your car that rub it with soap, they're actually grinding the impurities right into the surface. Manual car washes are a better option because you can spray the entire car down before you allow anything else to touch it. Once you've done that, you can take the foam brush and make sure that it's really clean but you have to be meticulous in order to make sure that everything has been removed. Your best bet is to take the car to a manual car wash, spray it off from bumper to bumper, top to bottom, and then use the foam brush on it so you can wash it again. Once you've done all of that, you can go to an automatic car wash and have the undercarriage sprayed down. Most people start to wonder if there might be bigger problems brewing, especially once they know what these types of substances can do to the finish of an automobile. Is it possible that it could be damaging mechanical components such as those associated with the steering or potentially damaging the rotors on the car? Unfortunately, the answer to that question is yes. That's why it's so important that these substances be removed as quickly as possible and the car owners be thorough in making sure that the chemicals are removed in their entirety. If you notice rust on your car or that your clear coat is starting to peel, it might be time to consider taking the car to a professional body shop and having them look at it. It's easy to discount these things, especially when they're first noticed. You think that you have time to deal with it later. The problem is, most people never deal with it until the problem becomes so severe that it ends up costing them a small fortune to fix it. If you take the car in when it's first noticed, it might be a lot easier and more economical to deal with the problem. In some cases, only a few minor repairs might be needed from a qualified body shop. A lot of times, you will notice these types of problems when you're in the market for a used car. This is one of the main reasons that people make the decision to trade a car off, especially aside from mechanical issues. More often than not, people simply don't want to deal with a problem like rust once it starts. If it gets out of hand, a lot of individuals think it's easier to simply trade the car off and start over than do something about it. 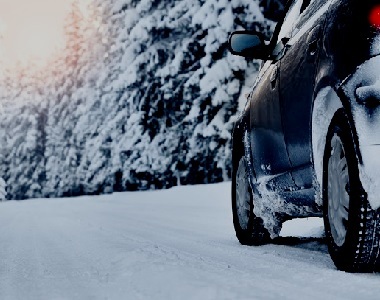 When it's all said and done, it's important to remember that the chemicals that are used to treat roads during the winter can be very damaging to the finish on virtually any car. The best thing you can do is get the chemicals off of the car as quickly as possible.